The Legend Of Zelda symphony orchestra - completed with an eye catching video and a chorus - is one of the most talked about events today. It is a rare and unique music production because it is based on the video game of the same name and thus it has become popular very quickly. This is evident from the amazing sales of Legend Of Zelda tickets. Dubbed as the Symphony of the Goddesses, it is a production led by and created by the marvelous Pittsburgh Symphony Orchestra in what is one of the most surprising productions this year. Led by conductor Eimear Noone, Legend Of Zelda musical concert and show is bound to please all who watch it. 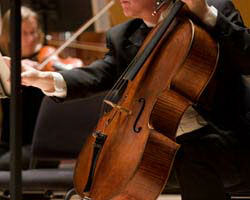 A symphony orchestra and a chorus will perform with an enchanting video in the back and superb effects. In an act historical in the world of classical music, a video game series is now celebrated by an orchestra, with music coming from the video game franchise itself in its history spanning over twenty five years. This is an unheard of production, the first of its kind, that makes use of music and visual effects to adapt a video game to the stage. Legend Of Zelda is indeed the first ever classical music concert themed on a video game. It features a four movement symphony that pays tribute to the work of Koji Kondo, sound director and composer at Nintendo and the video game franchise. It is the perfect form of art to tell the story of a video game twenty five years in age, told in a manner that is gorgeous and that makes full use of cinematic video synced to the action packed music adapted from the game’s soundtrack, played live by a symphony orchestra ranked as one of the best in the US. The video game Legend Of Zelda is itself a very popular franchise of all time. To date, more than sixty two million copies of the game have been sold since its premiere in 1986, overshadowing what both Titanic and Avatar combined earned at the box office. This is a media franchise that has led to a successful book series, a comic book series, a cartoon show airing on many channels and even a cereal named after it. The latest installment of the video game, Skyward Sword, has become the fastest selling title in the franchise, selling more than half a million copies in its first week only. Legend Of Zelda’s fan club adds more than a million members as each year passes. This is a concert set to be performed in many other cities in the world, in a tour that will span over a year. It is produced by Jason Michael Paul Productions Inc, the same company behind a similar series of twenty fifth anniversary concerts debuted in 2011 and celebrated the games twenty fifth year. This is a company responsible for several similar successful compositions and is inspired by the series games such as Twilight Princess and The Wind Waker. This particular concert is also unique because it features a full four movement symphony complete with classic storylines from games in the series such as Ocarina of Time and A Link to the Past. The retelling of the story of this franchise, complete with mind blowing music and cinematic video is definitely a must see live. So book your Legend Of Zelda tickets and watch it while it prepares to be featured in various American cities.